The advent of the Internet of Things has many alarm company owners weighing the options of selling or upgrading their businesses. The reality is there’s no one size fits all answer to the question of “should I sell my alarm business or continue investing in upgrades?” and there are many factors that can influence this decision. In this day and age, traditional security alarm companies are facing increased competition from DIY and smart home security systems. And while many alarm company owners are choosing to sell their companies rather than face the challenge from smart homes and DIY systems head on, there are some benefits to upgrading that may serve as an advantage for your customers – and your company as a whole – in the long run. 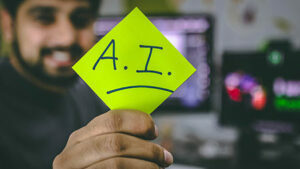 While upgrading your company to keep up with home automation, artificial intelligence features, and other technologies that have come about related to the Internet of Things may seem daunting, doing so may be beneficial long term. Here are just a handful of ways your customers and your company stand to benefit from upgrading. Customers these days are looking for high levels of security and continual monitoring at a reasonable price point. Artificial intelligence has made this possible. AI removes the human fatigue factor, providing continual monitoring while reducing human error. It also reduces the number of humans that need to be involved in the monitoring process, which can help cut down on costs. When it comes to security systems, false alarms can be disconcerting. Reducing human error can, in turn, reduce the number of false alarms that consumers experience. AI systems that tie in to the Internet of Things can help to eliminate false positives, allowing consumers to feel more at ease. Many people lament that the Internet of Things has encroached on privacy, with many devices enabling organizations and companies to collect and utilize personal data. The truth is, however, that artificial intelligence actually helps to protect consumer privacy by reducing the number of humans who see and have access to personal information. By incorporating automation and AI into your offerings, you can actually provide increased privacy for customers. Consumers are looking to get the most for their money when it comes to security systems these days. They’re looking for specific features and add-ons, many of them related to the Internet of Things. Incorporating these elements into your security offerings can give consumers more of what they want – and can help your business stand apart from the competition. Adding additional services and add-ons to your offerings gives you the opportunity to continue growing and expanding your business. You’ll have the chance to offer more to your current customers while increasing your appeal to potential new customers. Offering services and features that your competitors in the traditional security alarm market are not can help you to combat attrition. It can make your company more appealing to consumers and help you prevent industry competitors from stealing current customers away. Though there are costs and expenses associated with upgrading your offerings, automations and add-ons can actually serve as additional sources of recurring monthly revenue for your business. As these technologies are becoming more popular, they are in higher demand – meaning more consumers are willing to pay for them. Though technical support will be required, many of these features being automated. This means once you implement these systems and technologies you can continue growing your profits and increasing your RMR with relatively little effort. If you choose to upgrade your company to keep pace with automation and the Internet of Things, you could increase your profits down the road when it comes time to sell. Additional offerings and upgrades can help you to build value and increase your customer base, which can make your business more appealing to buyers and can drive the asking price – and offers from qualified buyers – up when you’re ready to sell! If you’re one of the alarm company owners who is actively considering which path to take moving forward, it’s important to be well informed of all of your options. While selling during the IoT revolution is the best option for many business owners, especially those who are ready to sell or exit the industry immediately, upgrading may be the better option if you’re looking to sell for top dollar down the road. Wondering which option is right for you? 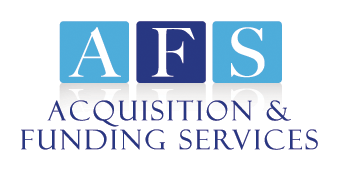 Give Rory Russell of AFS a call at (800) 354-3863 (24/7 availability) or contact him online to discuss your options and get help with determining whether selling or upgrading is the best choice for your business. Looking for more insight into the sell/don’t sell debate you’re grappling with? Download our FREE advice for alarm business owners for more information about making this important choice for your company.